The concrete and steel of structures like parking garages, tunnels and stairwells can impede or even completely block two-way voice and data communication. 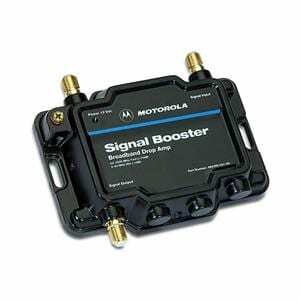 BDA’s, or bi-directional amplifiers, are a type of signal booster that can help you overcome these communication obstacles. BDA’s act as a type of repeater that can amplify a signal and force it through man-made barriers. These amplifiers are available in a range of power and gain options and are capable of distributing a signal across several frequencies. BDA’s can be part of a distributed antenna system, or DAS, which is a series of antennae that can carry an amplified signal through a larger structure or across a longer range. Because of these capabilities, BDA’s and DAS’ are ideal solutions for maintaining voce and data communications inside buildings. However, this solution can also be used to carry signals from transmitters located outdoors to receivers located indoors – such as a two-way radio signal from an outdoor work crew to a dispatcher located inside an office. If you have more questions about BDA’s or DAS solutions, call us at 1-833-487-4366. If you’d like to get started, you can Request a Quote.